Avenza Maps has been by used by hikers, hunters, snowmobilers and everyday day people like us around the world since 2011. We all have features we know inside and out (because we built them! ), but here are a few of our staff’s favourite tools! A personal favourite tool in the app is Plot Photos. It’s an easy way to add a geotagged photo to a map, especially if you took the picture and forgot to drop a placemark at the correct location. Or, if you were recording a track and took some photos along the way, but didn’t remember exactly where you took them. There are articles for iOS and Android in the Support Centre if you want to learn how to plot photos! I think the tool is useful especially for sharing information because if you have photos that you’ve taken say, out on a hike or exploring a new National Forest, you can easily export the photos you plotted and share the file with them with friends. My favourite Avenza Maps feature has to be Record GPS Tracks! 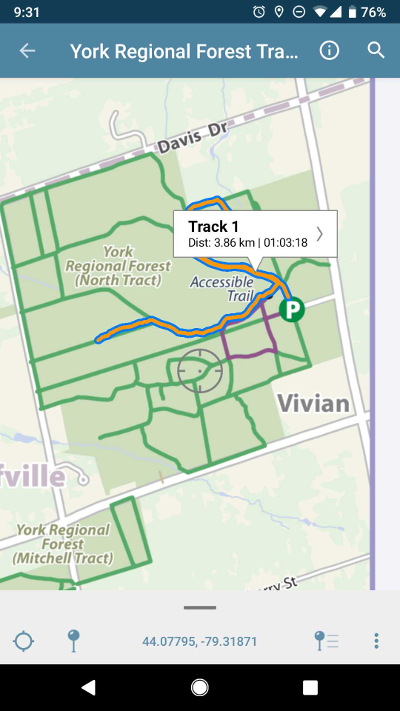 The tracking interface includes more information and statistics on your track such as speed, time and distance traveled. At the end of a hike, I can look back and see the exact distance I traveled and exactly how long the route took. What I find to be the coolest part, an often overlooked feature is the graph that is produced after recording a track. From the Edit Track menu, just tap Show Graph and a comprehensive list of track statistics and your resulting graph is shown. 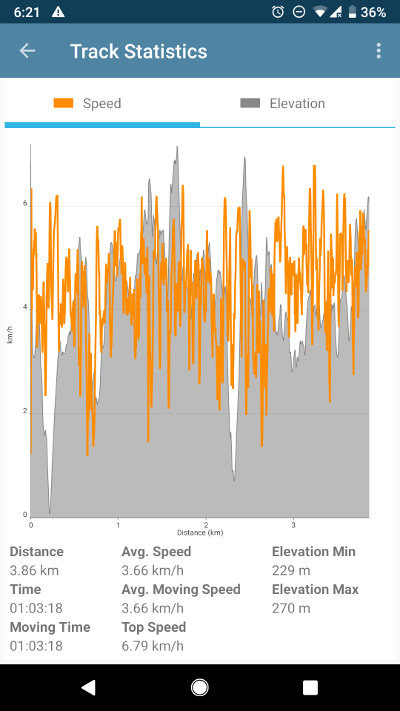 If you're ever interested in your elevation statistics post-hike, just open up the graph and elevation change over the length of your track is displayed! One of my favourite features of the app is the Map Store. The sheer variety of maps across a large range of categories is amazing and there are thousands of themed maps specific to activities such as hiking, cycling, hunting and fishing. Before any trip, I take some time to download maps of my destination before departing just in case I don’t have internet coverage while I’m there! The maps are great for planning and marking the places I need to go or don't want to miss. Many maps in the Map Store are offered free of charge, which is a great bonus too! Since my download history is saved, I have access to the maps I’ve already used and can download them on another device.